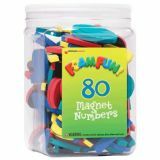 Soft, brightly colored foam is fully backed with magnet material, allowing for a strong hold on any magnetic surface. Flexible pieces are 1" -2" tall and completely washable. 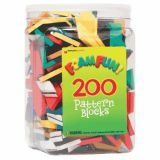 Includes a handy storage bucket and a booklet of ideas and activities. 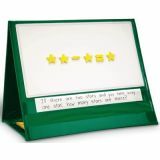 Includes 9 color-coded 4" x 4" squares; one whole, half, third, fourth, fifth, sixth, eighth, tenth and twelfth. 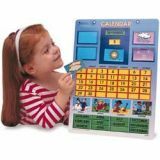 Colorful, magnetic calendar aids children in understanding time concepts of weeks, months, years and seasons. 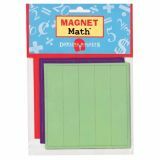 Includes 51 magnetic date, season, and month pieces and Activity Guide. 12" x 16 1/2" board is grommeted for hanging.